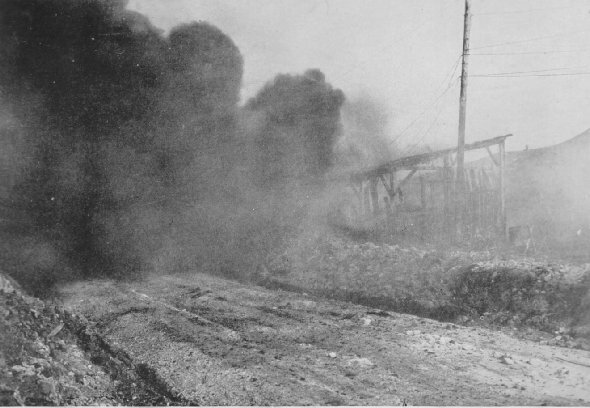 An ammunition shed hit by an Austrian "88" near 89th Division Headquarters, Gesnes, Nov. 1, 1918. 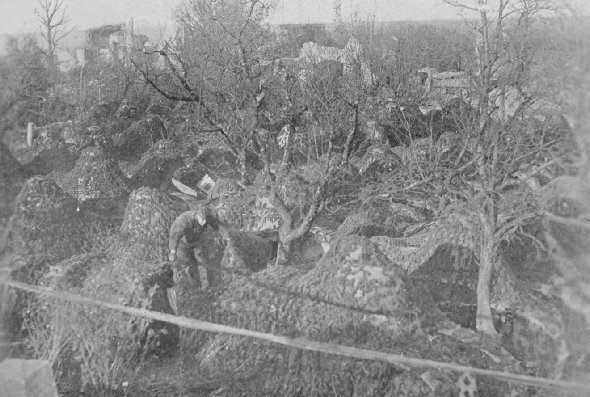 Camouflaged 2-man tanks, Varennes. Tanks with a speed of over 60 m. p. h. have been developed since 1918.